I am shocked and ashamed to find out that there are actually ministers/pastors, who claim to be Christians, who are now declaring that it will be OK for Christian believers to take the "Mark of the Beast" ! The Christian church needs to wake up ! You need to read the scriptures for yourself and not just sit in the pews being spoon fed, naively trusting that your minister is preaching correct doctrine. The Lord Jesus Christ warned His followers, "Beware of the false prophets, who come to you in sheepʼs clothing, but inwardly are ravenous wolves" (Matt. 7:15). The warning was important because Jesus later said to them: "Behold, I send you out as sheep in the midst of wolves; therefore be shrewd as serpents, and innocent as doves" (Matt. 10:16). 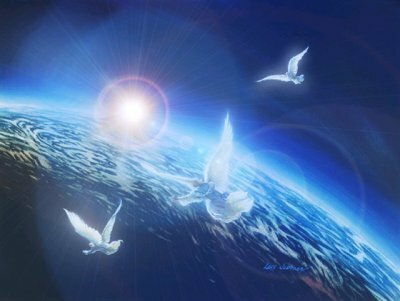 The apostle Paul, with tears and a deeply troubled spirit, penned a similar warning: " Keep watch over yourselves and all the flock of which the Holy Spirit has made you overseers. Be shepherds of the church of God, which he bought with his own blood. I know that after I leave, savage wolves will come in among you and will not spare the flock. Even from your own number men will arise and distort the truth in order to draw away disciples after them. So be on your guard! Remember that for three years I never stopped warning each of you night and day with tears. " (Acts 20:28-31). The Bible tells us that there will be many false teachers just before Christ returns who will introduce false doctrines. 3:1 But mark this: There will be terrible times in the last days. 2 People will be lovers of themselves, lovers of money, boastful, proud, abusive, disobedient to their parents, ungrateful, unholy, 3 without love, unforgiving, slanderous, without self-control, brutal, not lovers of the good, 4 treacherous, rash, conceited, lovers of pleasure rather than lovers of God— 5 having a form of godliness but denying its power. Have nothing to do with such people. . . 12 In fact, everyone who wants to live a godly life in Christ Jesus will be persecuted, 13 while evildoers and impostors will go from bad to worse, deceiving and being deceived. 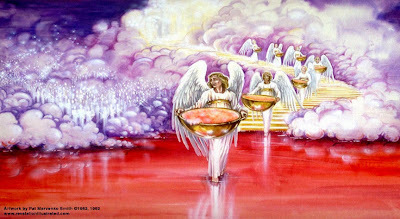 . . 4:1 In the presence of God and of Christ Jesus, who will judge the living and the dead, and in view of his appearing and his kingdom, I give you this charge: 2 Preach the word; be prepared in season and out of season; correct, rebuke and encourage—with great patience and careful instruction. 3 For the time will come when people will not put up with sound doctrine. Instead, to suit their own desires, they will gather around them a great number of teachers to say what their itching ears want to hear. 4 They will turn their ears away from the truth and turn aside to myths. To take "the mark" is eternally fatal. It is an end time decision that cannot be reversed. It is a guarantee of eternal separation from God. Once taken there is no 2nd chance - no repenting from this decision. 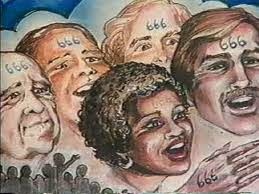 The number 666 [Mark of the Beast] will be a clue for those who are alive during the Tribulation. It will be a sign that the end has come. It will be required to buy or sell. Those who do not accept the sign will probably die of hunger or be hunted down and killed. It will be a serious decision to make. Those who accept the sign will be supportive of the Anti-Christ and the other world rulers. They will end up on the side against God. Those who reject the device or marking will be considered traitors, but they will be on God's side. The Tribulation will be a war between God and world governments. 13 Then I saw a beast rising up out of the sea. It had seven heads and ten horns, with ten crowns on its horns. And written on each head were names that blasphemed God. 2 This beast looked like a leopard, but it had the feet of a bear and the mouth of a lion! And the dragon [Satan: Revelations 12: 3, 9] gave the beast his own power and throne and great authority. 5 Then the beast was allowed to speak great blasphemies against God. And he was given authority to do whatever he wanted for forty-two months [3 1/2 years]. 6 And he spoke terrible words of blasphemy against God, slandering his name and his dwelling—that is, those who dwell in heaven. 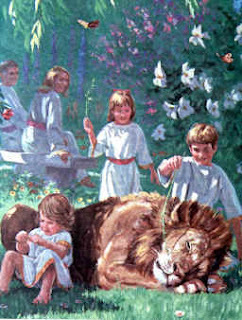 7 And the beast was allowed to wage war against God’s holy people and to conquer them. And he was given authority to rule over every tribe and people and language and nation. 8 And all the people who belong to this world worshiped the beast. They are the ones whose names were not written in the Book of Life before the world was made—the Book that belongs to the Lamb [Jesus: the Lamb of God - John 1: 1-5 9-14] who was slaughtered. 11 Then I saw heaven opened, and a white horse was standing there. Its rider was named Faithful and True, for he judges fairly and wages a righteous war. 12 His eyes were like flames of fire, and on his head were many crowns. A name was written on him that no one understood except himself. 13 He wore a robe dipped in blood, and his title was the Word of God [John 1: ]. 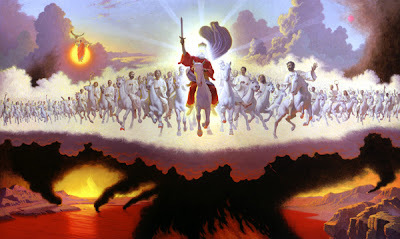 14 The armies of heaven, dressed in the finest of pure white linen, followed him on white horses. 15 From his mouth came a sharp sword to strike down the nations. He will rule them with an iron rod. He will release the fierce wrath of God, the Almighty, like juice flowing from a winepress. 16 On his robe at his thigh was written this title: King of all kings and Lord of all lords. John further predicts [through the revelation of Jesus Christ in the book of Revelation] that the man who will control this system, referred to as the Antichrist, will be possessed by Satan. 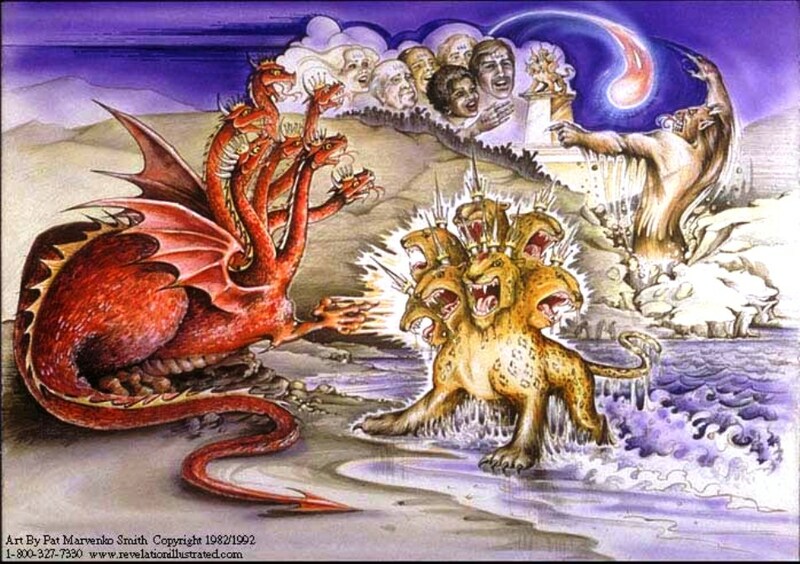 The dragon [Devil] gave him [the Beast/Antichrist] his power and his throne and great authority (Revelation 13:2; 12:9). He will end up "ruling" the world, controlling it by forcing everyone to accept a mark: He causes all, both small and great, rich and poor, free and bond, to receive a mark on their right hand, or on their foreheads: and that no one may buy or sell except one that has the mark or the name of [the Antichrist] or the number of his name (Revelation 13:16-17). In order to make it all acceptable, this program will be disguised as a technological breakthrough for the benefit of everyone. The coming world leader will also demand the world's worship; not only because he has a severe ego problem, but also because he will be possessed by the Devil. You see, this is what Satan is really after when he causes his puppet, the Beast/Antichrist, to set up the one world credit system: To force the people of the world to bow down and worship him. This sounds a little farfetched, but the Bible warns: If anyone worships the beast and his image, and receives his mark on his forehead, or on his hand, the same shall also drink of the wine of the wrath of God. (Revelation 14:9-10). Jesus, I will trust and follow You as my Lord [these means obeying Christ, not just believing] and Savior. With the help of The Holy Spirit, I will strive, daily, to walk in obedience with You. Now be baptized, as an adult who has made this decision for yourself.